South Korea. The Land of the Morning Calm. And soon to be known as the Land of a Thousand Doppelgangers. You thought that cosmetic surgery here in the US was intense? Oh no. We haven’t even skimmed the surface. South Korea has the highest rate of plastic surgery per capita in the world. Imagine your parents actually encouraging you to alter your face and body. What would you do if it was your mother’s idea for you to get double eyelids or your father’s wish for his daughter to have perfectly symmetrical ears? I’d instantly become self conscious and wonder if my parents ever really thought I was beautiful. 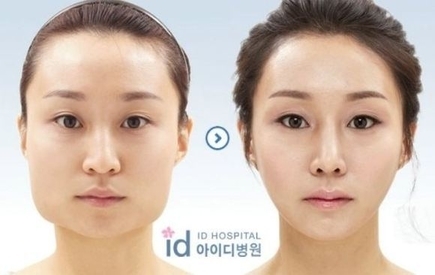 In South Korea, however, plastic surgery and become mainstream and desirable. It’s so common that girls joke about how they likely have the same doctor. Finding someone who hasn’t gone under the knife is like finding hen’s teeth. Most girls will pay for it themselves, but sometimes their mothers will chip in. Mothers seem to be the primary sources of pressure for plastic surgery. Guess why? They don’t want their child to be the ‘ugly one’. It would seem, however, that the beauty aspect has another basis in the job market. Everyone knows that attractive people have better luck in obtaining jobs and have better opportunities, and South Korean parents aren’t about to let their kids miss out. This creates a more extreme version of what Americans call ‘keeping up with the Joneses’, except parents aren’t purchasing more expensive cars. Instead, they’re buying their kids more expensive faces. And all of this is way more extreme that you’d initially expect. Sure, it begins all ‘innocent’ and such, when girls start with the basics, meaning double eye surgery and the typical nose job. I’d assume that Botox is sometimes added to accentuate the cheekbones and make them appear higher. But now there’s this thing called double jaw surgery. Which isn’t even technically labeled as cosmetic surgery at all. It’s the type of reconstructive plastic surgery I mentioned in the first installment. Double jaw surgery is meant primarily for facial deformities, but it also has a tendency to slim the face, making it more of a V shape. 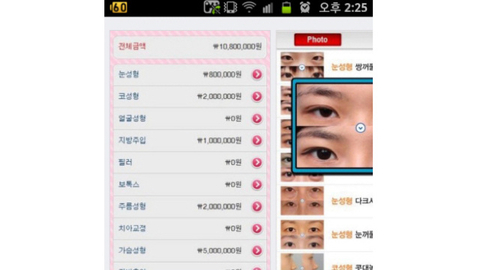 The beauty industry in South Korea caught on to the benefits of this approach pretty fast. This surgery isn’t like Botox or a typical nose job. It completely alters your bone structure. The inherent risks of such procedures are infinitely more dangerous. And though success claims are made about how it’s changed lives, there are still others who post on forums about how their lives are a living hell because of it. Side effects include numbness, inability to chew, and nerve damage. Can you imagine risking nerve damage for a different chin? I’m teased about my cleft, but I’m not hazarding the possibility of inadvertent drooling so I can avoid scrutiny. Also worrisome is the presence of apps. Yes, you read that right. Read it again, the rest will be waiting…done? Apps for plastic surgery are available in every country, and at last count the most popular ones had around 100,000 downloads. And yes, their presence enough is cause for worry. But for a beauty obsessed country like South Korea, imagine the dangers. Beauty is highly prized in South Korea. Girls everywhere are paying for procedures. These apps range highly in functionality, from before and after scenarios to price quotes. Decisions regarding surgery are serious and should never be taken lightly, but these apps make it seem harmless. Of the apps that I saw, one of them included a disclaimer about varying results and a good chunk mentioned that their apps shouldn’t be used as replacements for medical advice. I applaud that. However, they don’t discuss the dangers of plastic surgery, which I saw to be a huge problem. The dangers are real and they should be presented as strong possibilities. We don’t live in Candy Land, people. Cutting open your body isn’t sunshine and daisies. It’s messy and complicated work and needs to be treated as such. 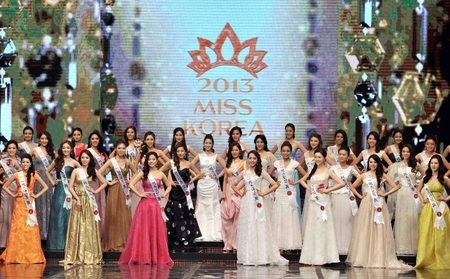 Last but not least, we have the question of the Miss Korea pageant. Have you heard? Surely you’ve heard. I realize racist stereotypes exist about all Asian women looking the same. I’ve heard them and I hate them. The phenomenon of what seems to be universal plastic surgery among South Korean women, however, tends to justify the claim that they are becoming more similar in appearance. This conclusion is not coming from a racist standpoint, it’s coming from valid conclusions based on common sense and statistics. We’ve discussed that women have plastic surgery primarily for beauty (which has a connection to the job market). So it makes sense that it would be noticeable within beauty contests, yes? And it is. It’s so very, very obvious. Google the most recent Miss Korea and you can judge for yourself. Their scary similarity has already been noticed by a slew of people. Many of the women have incredibly similar features and all look very much alike. So alike, in my opinion, that they could be related to one another. When looking at before and after pictures, it’s clear that the goal is defining the features, rather than exaggerating them and making them exotic, like I discussed in the previous installment. It’s pretty scary. Not just that it’s so prevalent, but the fact that rates are so high and the decisions are made so lightly. South Korea is pretty small compared to other countries, but that doesn’t mean there won’t be a big impact. What do you think, LivLunatics? Is this something to worry about, or is it just a passing fad?